Take the "Junk Your Bathroom Challenge"
Lord knows, we are all reluctant to let go of something. Sometimes our “stuff” is like a safety blanket. Sometimes we just resist change. After all, that’s why you still hang on to your favorite pair of shoes and wear them until they fall apart, right? It’s the same reason we keep things from childhood. We just hold onto them because. And I guess that’s why I still had all this stuff in my bathroom, even though I haven’t used it in ages. Months. Maybe YEARS for some of it. And yet, it still made it past two moves, and it was still hanging out in my bathroom, taking up space. Until this week. When I decided it just had to go. Why do we need a zillion products anyway? The reason why I’m junking these products is because they are TOXIC or “junk”. Some are more toxic than others. A lot of them are masquerading as “healthy” products, and some of them even sit in the “organic” or “green” section of my supermarket. But odds are, if it’s got more than two lines of ingredients, there are chemicals hiding out in your lotions and potions. It’s hard to get rid of them, I know. These products are created and marketed especially to make us feel like we’re doing something good for our hair and skin. They are sold to us in ways that convince us we’ll be better, prettier, more likeable, younger-looking people. But are they HEALTHIER? …WHEN there are alternatives that are not just great for all your bath and body needs, but can actually make a difference in your overall body health? Is it so great to “look young” when it’s killing you in the meantime? I’m not trying to be dramatic here. But have you ever looked at that ol’ ingredient label? 2-Octyl-1-dodecanol: (C20H42O) An alcohol that is classified as a eye and skin irritant as well as a respiratory irritant. Why would they put this in a makeup remover wipe that you’re putting on/near ALL of those?? Polysorbate 20: Ah, the wetting (surfactant) and dissolving (solubilizing) agent. Polysorbate starts out as sorbitol that is then treated with 20 “parts” of carcinogenic ethylene oxide. (Polysorbate 60 has been treated with 60 “parts” ethylene oxide.) The resulting chemical, is then combined with various fatty acids and can be laced with heavy metals. Yum! Phenoxyethanol: (C8H10O2) A skin and eye irritant that is also an endocrine disrupter, can affect the brain, nervous system, and the bladder, as well as the reproductive organs. May also be in shampoos and bug repellants. All those -parabens: Preservatives that, according to MANY studies, are directly related to breast cancer. That’s right ladies. Breast cancer. Parabens also act as endocrine disrupters that mimic estrogen and can cause weight gain. Just say no! Even this Aveeno Colloidal Oatmeal Bath Treatment, often used to treat eczema, contains Laureth-4! Laureth-4 is made by treating Lauryl alcohol with 4 parts carcinogenic ethylene oxide. There are many different types of Laureths, with the lower the number, the more irritation. Doesn’t it seem counter intuitive to add it to a bath “treatment”? No wonder it never worked for me. Contains petrolatum, a by-product of petroleum, which is related the development of breast tumors and mammary gland cancer. According to the Herb Research Foundation, our skin can absorb 60% of the chemicals it comes in contact with, and these chemicals move directly into the bloodstream. Petrolatum essentially suffocates the skin, preventing oxygen flow, and allowing the chemicals it’s mixed with to be absorbed instead. Petrolatum can also cause premature aging of skin through the creation of free radicals and disrupt your body’s natural moisturizing mechanisms and cause chapping. (Defeats the purpose wouldn’t you say?) Petrolatum is also found in Vasoline and Aquaphor. Stay away! Chemicals aren’t just hiding in conventional products. They’re in “healthier” products, too! Propylene Glycol is found in the majority of personal care products these days, and I’ve even seen it in salad dressings and ice-creams! It is used as a penetration enhancer to bring other chemicals closer to your bloodstream, and it is also ANTIFREEZE! Um, no thank you. It has been linked to cancer, developmental/reproductive issues, allergies/immunotoxicity, neurotoxicity and endocrine disruption. Concentrations as low as 2% can cause skin irritation and sensitization, and yet cosmetics can contain up to 50% concentrations! This is the lip balm I used to use and love until I realized that it had less-than-preferable oils in it. :( Take a look. Soybean oil and canola oil. This is actually one of the deodorants I tried when I switched from my old antiperspirant 5 years ago. Except, as Frank pointed out to me, Ammonium Alum is just another form of aluminum! But it says “NO Aluminum Chlorohydrate” on the label! Doesn’t matter. You can read more about Crystal deodorants from Dr. Mercola in his article Aluminum Lurks in Crystal Deodorants. Propanediol: Synonym for Propylene Glycol, just like in Tom’s deodorant. So…what am I supposed to use now? Most of your products can be replaced with simple, cost-effective, and healthier alternatives. I mix coconut oil with baking soda and essential oil to make deodorant. THE BEST make-up remover and eye-makeup remover ever! Face cleanser using the oil cleansing method. Coconut oil and baking soda for homemade toothpaste. It’s divided into two glasses because I’ve found it stays fresher, it’s easier to dip our toothbrushes in the oil THEN the baking soda, and I’ve gone to doing baking soda every other day and only using coconut oil on the other days. You can put therapeutic grade peppermint essential oil in the coconut oil to make it taste minty and delicious. : ) Peppermint oil is also a natural whitener! So did you get all that? Basically you only need one rule: Can’t pronounce an ingredient? STAY AWAY! Need help replacing your bathroom products with natural alternatives? DIY NATURAL IS HERE! 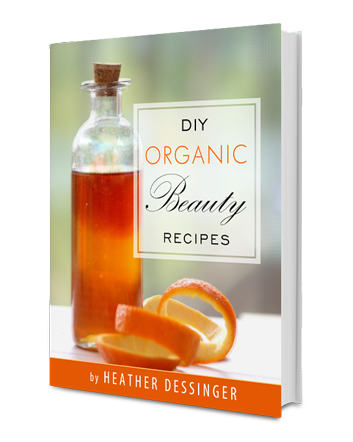 My friend Heather (The Mommypotamus) has spent countless hours and hundreds of dollars researching and testing recipes to bring you practical solutions for TOTALLY NATURAL beauty products! In This eBook, You’ll Learn How To. . . There are even video tutorials to help guide you, step-by-step! This post is a part of Thank Your Body Thursday. I don’t know if this holds true with others who have PG alglrey but I’ve been tracking what I use in great detail noting the ingredients and reactions. I have narrowed down that I am not only allergic to PG but also allergic to propylene carbonate, a carbonate ester derivative from propylene glycol. Surprisingly, I found it in Protopic. I just caution those with this alglrey to consider their medications from the dermatologist. I even found a RX foot cream (commonly used to treat fungal infections) from the derm to contain PG. I can get the exact name later on for anyone who wants it. How do I know I’m allergic to propylene carbonate? Because the several products that I used, some of which only had a few ingredients, had propylene carbonate in common. When I used them at different times, resting in-between, they all produced redness, itching, swelling especially on my eyes and the areas where I applied them. Last night, before I put this all together, I gave Protopic another try especially as I’m seeing the derm today. Within an hour the inner bends of my arms, the only place I applied it, were burning, turning red and itchy beyond belief. So I got out of bed, checked the tube and say polyglycol carbonate. I compared it to the list of products that gave me obvious reactions and one of those products also contained polyglycol carbonate. The other product contained PG. They say they haven’t found the carbonate to cause allergies according to lab studies but I’m fairly certain there’s a connection for me. Just want to pass it on in case someone else is having a similar issue. I hope I can bring some awareness to someone by sharing my experience. My husband wants to know if the homemade toothpaste alternative removes plaque build up? Yes! Alternatively, just doing oil pulling with coconut oil for 3-6 months can remove almost all the plaque. (At least in my personal experience) I did an experiment, where I stopped brushing my teeth entirely for several consecutive months (I still flossed), and when I went to to the hygienist, they were astonished to find no plaque build up! Awesome thanks! Also I’ve been doing more brushing with my new coconutty/salty toothpaste and its so great, fresh breath all day and my teeth feel cleaner longer and look better than when I used my fave fluoride based brands. ethylene glycol is the more toxic glycol, and is the major ingredient in anti-freeze. it is also extremely toxic to cats and dogs. as in 1 lick can equal death if not treated immediately. propylene glycol is toxic, thought supposedly not as, but no one comes out and says it. i find it in a ton of stuff. i found it in a product for hairballs in cats!! that i am supposed to feed my cats! which is when i did my glycol research. and yes, propylene glycol is also bad for animals, but it will take a lot more to see toxic results. so ‘they’ say. keep your animals away from glycols too! Thanks for the very helpful infor. Do you have any recipe for replacing dish washing soap and bath soap/shower gels? I’m making lotions and deodorants but struggling with these. I don’t make those. I buy Dr. Bronner’s for dish washing soap and it doubles as shower gel (http://amzn.to/11uxpXl). Or I use the Dr. Bronner’s bar soap (http://amzn.to/GYaVFy). Thanks off the post! So what exactly do you use for bathing soap or body shampoo? I’ve not been able to figure how to replace that!